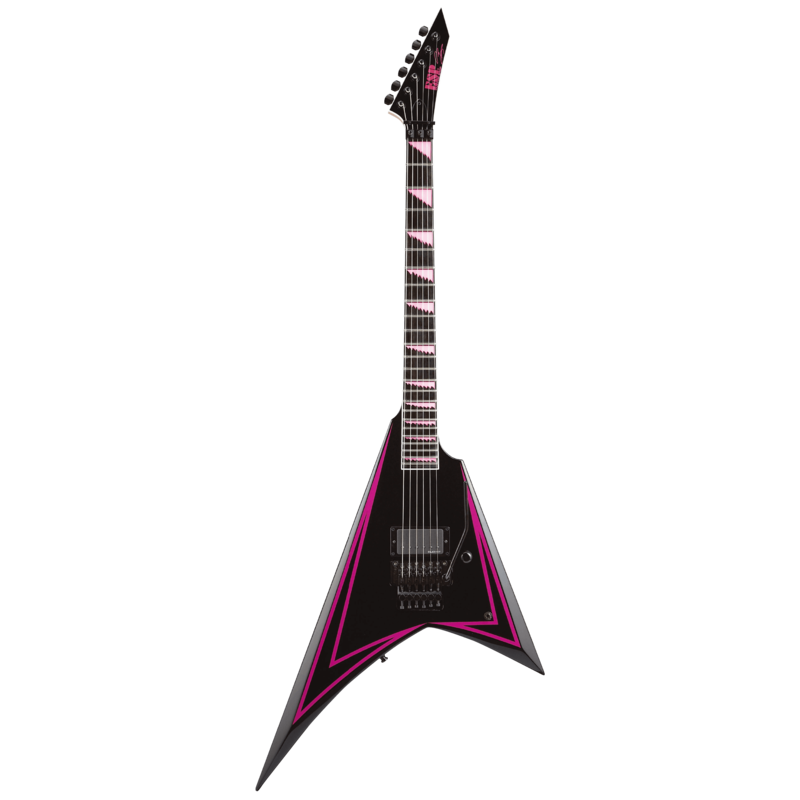 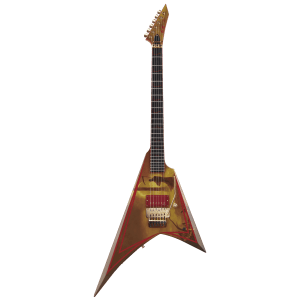 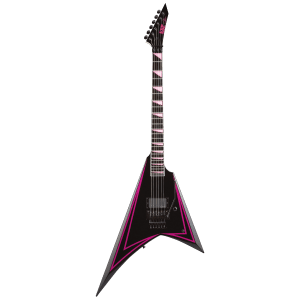 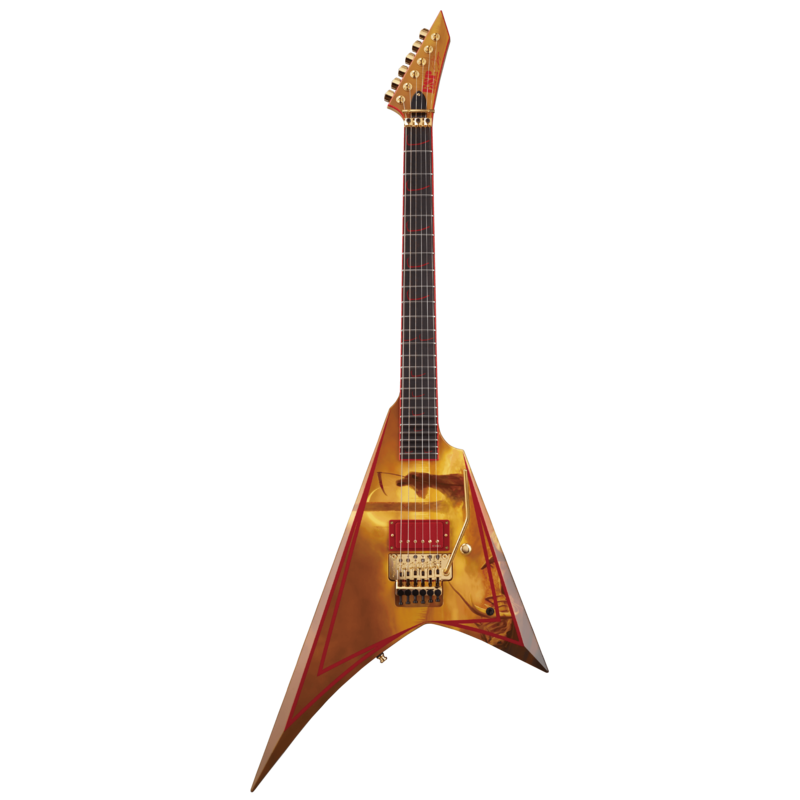 The Alexi Laiho Greeny is the ESP Signature Series guitar for the frontman of Finnish melodic death metal superstars Children of Bodom.  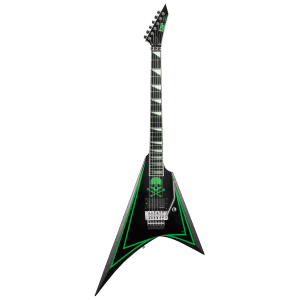 Made by hand, one at a time, by the world-renowned luthiers at the ESP Custom Shop in Japan, the Alexi Laiho Greeny is designed for pure performance. 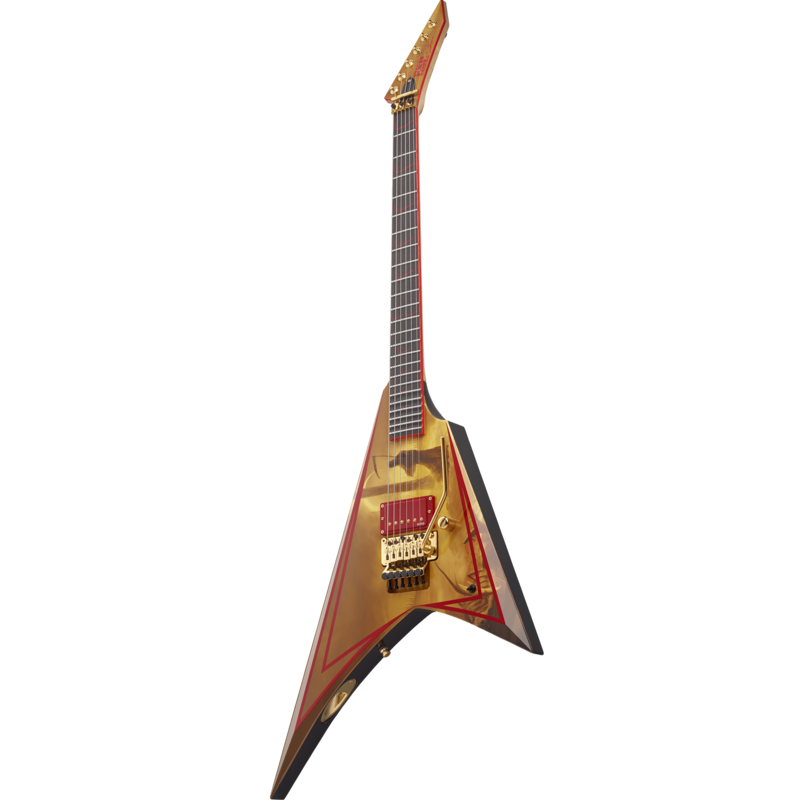 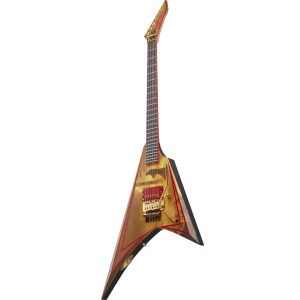 It's an offset V-shaped guitar with neck-thru-body construction. 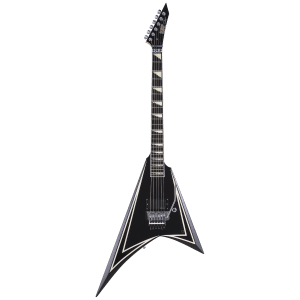 It pairs a comfortable alder body with a fast and smooth three-piece thin U-shaped maple neck, with an ebony fingerboard that features 24 extra-jumbo frets and sawtooth triangle inlays that glow in the dark. 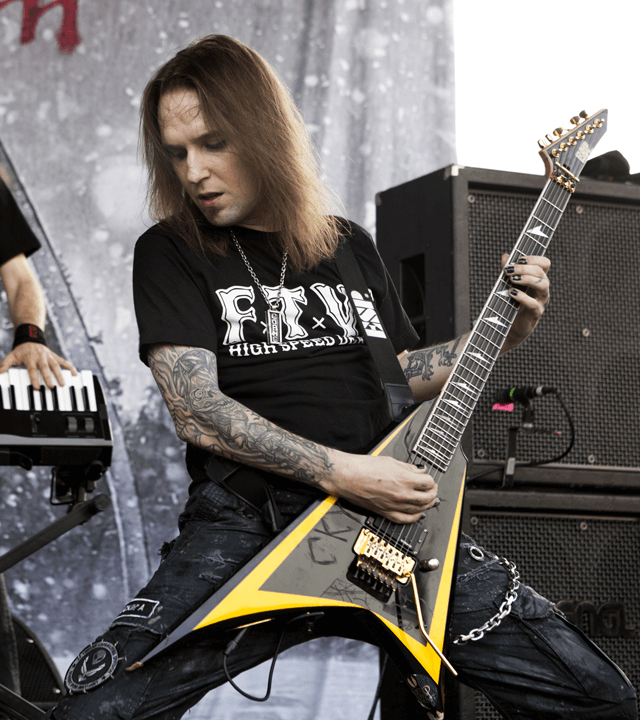 The Alexi Laiho Greeny's aggressive sound is powered by a single EMG HZ F-H2 passive pickup with active EQ boost that's controlled with its own switch. 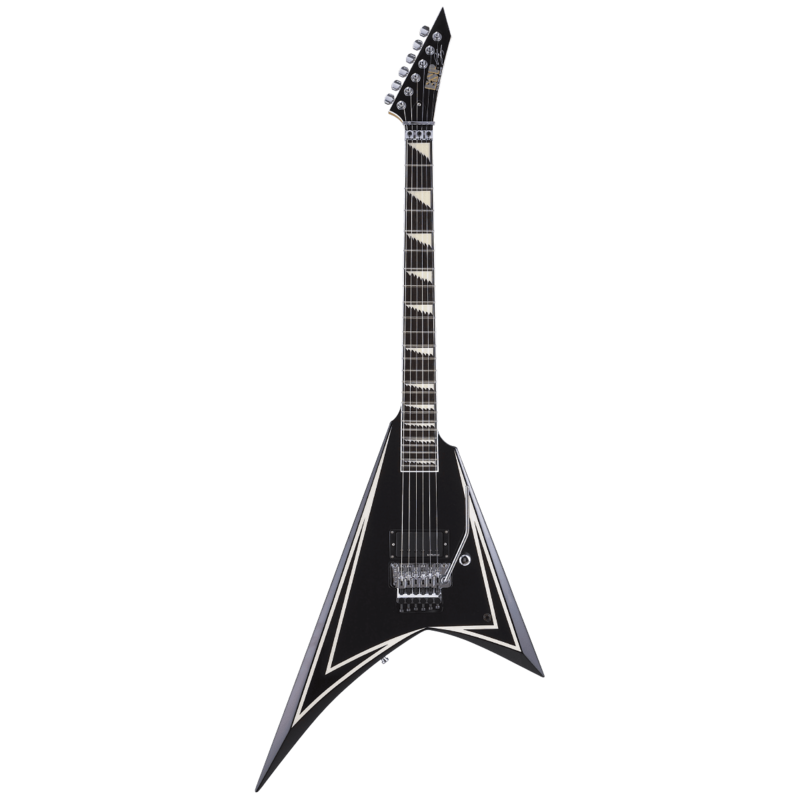 Other premier components include a Floyd Rose Original bridge, Schaller straplock, and Gotoh tuners. 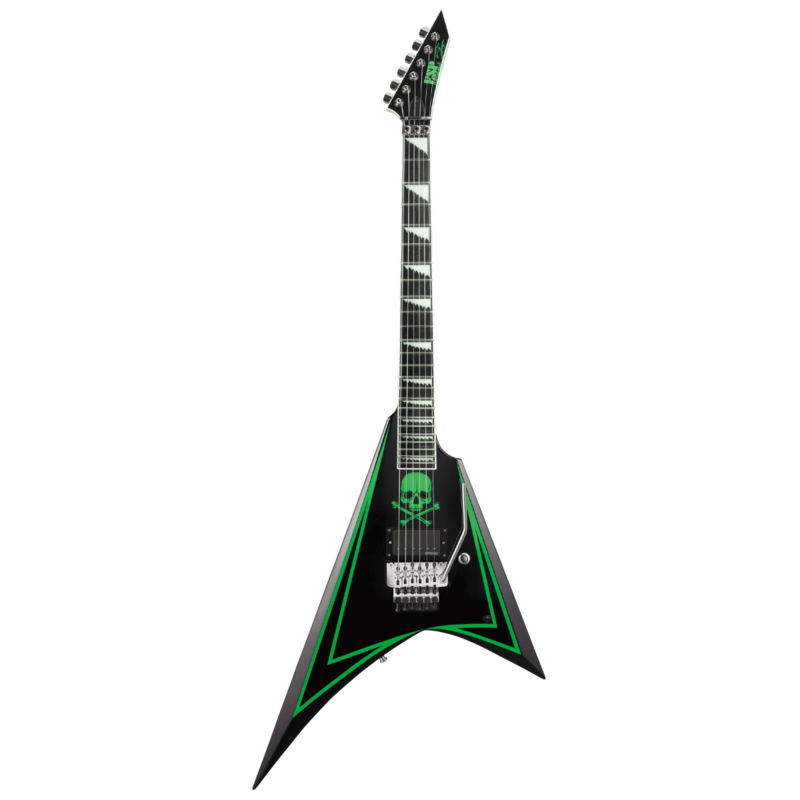 It comes in Black finish with lime green pinstriping and skull graphic, and includes a hard case and an ESP Certificate of Authenticity. 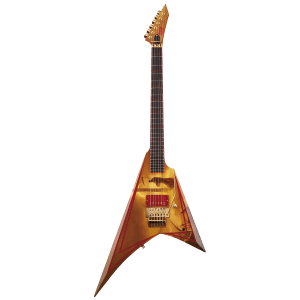 Musicians on a tighter budget should take a look at the Alexi-600 Greeny, the LTD version of this excellent guitar.